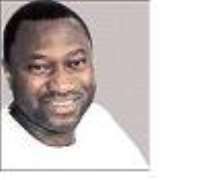 African Petroleum (AP) Plc's President, Chief Femi Otedola has petitioned the Securities and Exchange Commission (SEC), seeking a mouth-gaping N117.18 billion; being losses incurred as a result of the share manipulation scam involving AP shares, which he blames on his erstwhile friend, but now bitter enemy, billionaire business mogul, Alhaji Aliko Dangote. The SEC has not commented on the damages and Dangote has denied any involvement in the scam. It is all but certain that the matter appears heading for the courts. But last Thursday, Otedola, in yet another dramatic twist in the festering business tussle, petitioned the Economic and Financial Crimes Commission (EFCC), in Abuja, accusing Dangote; President of Dangote Group of Companies, and the Managing Director of Nova Finance and Securities Ltd, Mr. Eugene Anenih, of orchestrating the AP share price scam that made 160,000 AP shareholders to suffer over N240 billion loss between August 2008 and March 2009. Specifically, Otedola accuses Dangote of conniving with Nova Finance; the stock broking firm handling Dangote's investment portfolio in the stock market to run down the share price of AP which dropped from a year high N293.98 per share to N48.91 per share as at March 2009. Nova, which perpetrated the scam crossed AP shares 30 times in eight weeks, allegedly using Dangote's mandate, and making the price to lose value by five per cent daily. For several hours Tuesday, April 21, 2009, Dangote was guest at the EFCC where he was grilled at the Operations Department by a team led by the anti-graft agency's Director of Operations Mr. Tunde Ogunsakin. An EFCC source told Huhuonline.com that Dangote was asked to review and respond to some of the issues raised in Otedola's petition. Although no details of his discussion filtered to the public, an EFCC source said Dangote, gave useful information to the EFCC regarding his involvement or otherwise in the matter. "In four hours, he had written his statement and our investigators had started interrogating him on grey areas and his relationship with Nova Finance Securities,” the source said, adding: "We also asked questions on his background, past investments, and his relationship with the AP." He was "released on administrative bail on self recognition but may be invited again as the EFCC investigation into the matter is continuing". Otedola's petition to the EFCC came after Dangote, Nigeria's richest man according to Forbes magazine, was exonerated by both the NSE and the SEC. The NSE had earlier sanctioned Nova when the saga came to the open, through media advertorials placed by AP over the share crossing scam, perpetrated by Nova, allegedly through the mandate of Dangote. Apparently not satisfied, Otedola petitioned the SEC, seeking general damages to the tune of N117.18 billion. The SEC, after investigation suspended Nova and Anenih from all capital market activities for one year for employing "manipulative and deceptive devices and contrivances in its transactions on AP Plc shares." Besides, Nova and Anenih were jointly and severally fined N190,000, - N5,000 per day for 38 days, for violating rule 177 and the code of conduct for market operators. Anenih was also banned from being employed in any arm of the securities industry for five years and referred to the EFCC for further investigation and possible prosecution. However, the SEC absolved Dangote of blame, saying there was no evidence to show that he instructed Nova Finance and Securities Limited and its Managing Director, Mr. Eugene Anenih, to carry out illegal transactions on AP shares on his behalf. Apparently miffed by the clean bill handed Dangote by the SEC, Otedola reported the matter to the EFCC. Among other things, Otedola rejected as fallacious, the claim by Dangote that he was not privy to the share-crossing saga, as Nova could not otherwise have had any primary motive for the action. Otedola also averred that with the trade alert mechanism in the stock market, it stretches credulity for Dangote to feign ignorance of the deals being reflected in his account, more so as he is vice president of NSE. Besides, Otedola wants the EFCC to peruse earlier written mandates of Dangote to Nova, to establish relationship between them and those suspected to have been given without written authorization. Otedola also would want the EFCC to examine what mitigating factors might have caused Anenih to recant his earlier confession that he was mandated by Dangote to cross the AP shares.